Usher in an elegant, functional, and contemporary element to your home with Renewal by Andersen of Southeastern Mass and Rhode Island sliding windows. Featuring at least one sash sliding past another, these windows offer an unobtrusive view as opposed to windows protruding from your home. A modern must-have, easy operation and maintenance make sliding windows a fresh alternative to traditional double hung styles. Choose Renewal for replacement windows in Massachusetts and Rhode Island, and you’ll choose high quality over all else. When you choose to install a new sliding window in MA, you won’t find a company better suited to meet your needs than Renewal by Andersen of SE Mass and Rhode Island. Our full range of sliding window models offer unique benefits to homes in the area, including increased durability and energy efficiency. Here are the models of sliding replacement windows we offer. To learn the full details of each model, call us or fill out our request a quote form to schedule an appointment with our local window experts. 100 Series: This model carries remarkable value and sustained stability; made from our Fibrex composite, it will not crack, fade, or blister over time as you enjoy striking views through large, unobstructed glass or welcome in a soft breeze. 200 Series: Our most popular model available in a variety of sizes and options. A single operating sash means minimal care and simplistic functionality. Choose from a prefinished white or natural pine interior. 400 Series: Enjoy maximum ventilation from the 400 Series as both sashes smoothly sail past one another, allowing you to enjoy the fresh New England scents no matter which way the wind blows. Superior energy efficiency makes this model a powerful aid in reducing your energy consumption over the year. 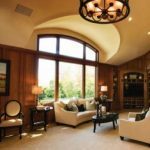 With minimal effort and motion, fill your rooms with cool air and luminous sunlight with Renewal by Andersen of Southeastern Mass and Rhode Island gliding windows. Enjoy optimum circulation, unmatched by any competitor in Fall River, New Bedford, Worcester, or the surrounding areas. You and your budget will breathe easier after selecting any of our gliding models as air gently circulates through your home and as natural light, night or day, fills your rooms. As with all of the windows we install, our sliding windows are backed by some of the leading warranties in the industry thanks to our full certification from the national Renewal by Andersen brand. To learn more about these warranties, our full selection of windows, and to schedule your FREE in-home consultation, give us a call or fill out our request a quote form today! Renewal by Andersen of Southeastern Mass and Rhode Island leads as experts in doors and windows. We have deep roots in the local MA & RI communities, and work tirelessly to improve the homes of our neighbors. Call us at 401-473-2739 to set up your free, no obligation in home consultation on new windows in RI and MA.